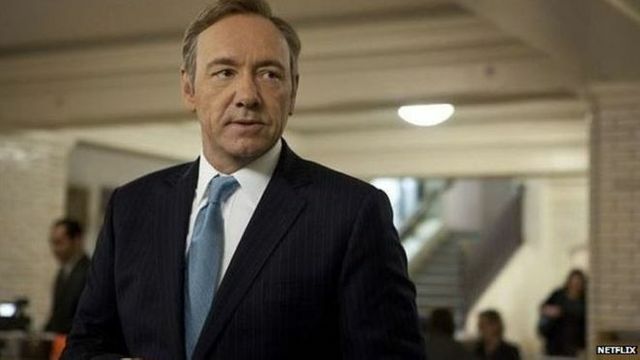 Ohmeohmy, House of Cards Season 3 leaked last night, 2 weeks before it official release on 27th of February. I'm convinced this must be a marketing ploy but apparently the leak was due to a 'glitch'... yeah right. They followed their 'mishap' with a tweet from the official House of Cards twitter account; "This is Washington. There's always a leak. All 13 episodes will launch February 27. "Bring on February 27! Bring. It. On. The highly anticipated third season of House of Cards has been leaked two weeks ahead of its scheduled release. For 30 minutes on Wednesday afternoon America got a glimpse of life under the iron fist of Francis Underwood. But as news spread the series was pulled almost as quickly as the show's Machiavellian lead can destroy a political career. Netflix denies that the leak was a marketing ploy, telling Newsbeat it was down to a "technical glitch". Did you really think I'd give everything away?